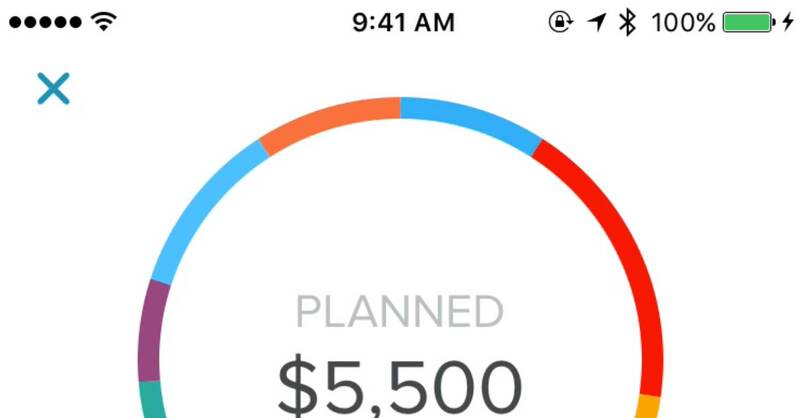 EveryDollar is a handy app that allows you to create a budget and track your spending. You can use it on your computer or keep it tucked away in your pocket on an iPhone or Android. Plus, it syncs across all your devices! All that is pretty neat. But there are a few more fun features available you may not know about yet. Check out these six awesome EveryDollar tips and see which ones you can use to make budgeting even easier. 1. Check your bank account balance. With EveryDollar Plus, you can see your account balance without ever leaving the app. Just click on the menu and scroll down to Bank Accounts! That’s all it takes to see the balances of any account you have synced with your EveryDollar app. Easy as pie—minus the calories! 2. View your budget three ways. With EveryDollar, you can view your budget in not just one . . . not just two . . . but three different ways! It’s easier than ever to see what you budgeted, what you already spent, and how much you have left. Simply use the tabs at the top of your budget to toggle back and forth. Pro tip: Swipe the EveryDollar wheel at the top of your budget to check out all three views on your phone. 3. See your budget percentages. If you’re the nerd of the family, you probably love working out all the budget details! Well, if you click on the EveryDollar wheel and start scrolling through your categories, you’ll notice not only how much you’re spending, but also your budgeting percentages! Sweet, right? Pro tip: You can see your budget percentages on your computer, too. Just look at the categories and totals on the right side of your screen. 4. Use 3D Touch on mobile. If you have an iPhone and need to track a transaction, this little trick will rock your world. Press down on the EveryDollar app on your screen, and, surprise—you’ve got a shortcut to track a transaction. No more opening up the app to plug in how much it cost to fill up your car between soccer games. Your budget can move at the speed of you! 5. Create unlimited budget categories. You might be a budget minimalist. Four categories are plenty, thank you very much. Or you might like to break the budget down into detailed categories. You’ve got a category for Sparky the dog, a category for Spot the hamster, and a category for Sassy the cat. With EveryDollar, you can create unlimited categories. That’s right—the world is your oyster! Or at least your budget is. So whether you want four categories or 40, just set them up on your computer and you’re good to go. 6. Share an account with your spouse. Marvin Gaye says it takes two, baby, but with EveryDollar, you only need one budget. No more keeping track of all those paper receipts and trying to remember who spent the last of the grocery money on frozen pizza. Instead, you and your spouse can share an EveryDollar account and be on the same page—literally. Your budget will even sync across devices, so you both know exactly how much is left in the grocery category! With features like these, EveryDollar makes budgeting a breeze. So what are you waiting for? Sign up for a free account today and give these features a try!